When drains get clogged up, traditionally you have only a few choices: a plunger or drain snake that physically removes the clog, or some kind of caustic, toxic chemical like Drano. Even a plumber will either use a plunger, snake or chemical to clear your drain. And while there is nothing wrong with using a snake (I use a Zip-It to clear hair from my tub drain all the time), drain-clearing chemicals like Drain-O go right into our waste-water stream where they are NOT filtered out, and eventually end up in our rivers and streams. The main ingredients in chemical drain cleaners are bleach and sodium hydroxide, or NaOH, a highly corrosive salt. Since NaOH is so corrosive, contact via inhalation, ingestion, skin, and the eyes can cause major irritation, vision problems, vomiting, shock if ingested, and even thermal and/ or chemical burns. Chronic exposure can cause nose and throat irritation, chest pains, dermatitis, and ulceration of the nasal passages. These effects are very severe and unfortunately much too common, as individuals do not heed the warnings and directions printed on the product’s container. Too often we reach for the dangerous stuff to get the job done, when there are usually safer and more natural ways to accomplish the same thing. So, to avoid using caustic, toxic chemicals, look no further than your kitchen pantry for everything you need to unclog a drain without causing damage to your health or the environment. A plunger or drain stopper to temporarily seal the drain. Bail out any standing water in the sink until the sink and drain are relatively dry. Dump about 1/2 of a box of dry baking soda down the drain. Get your plunger or stopper ready and at your side, and be prepared to hold it down tightly. Following the baking soda, pour 1/2 cup of vinegar down the drain. HOLD TIGHT! 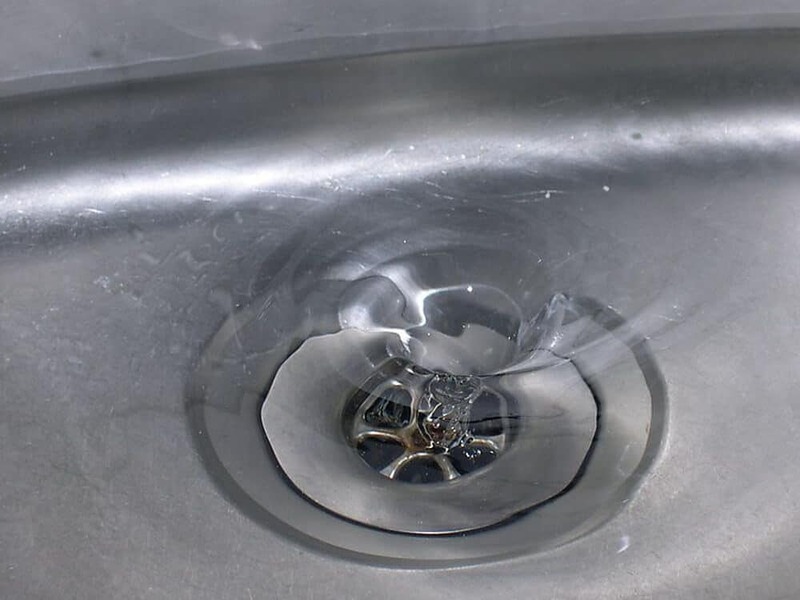 The interaction of the vinegar and baking soda will cause a “mini volcano” that will come up and out of the drain if you don’t keep it down there to bust out your clog. After the initial “volcano” subsides, leave the baking soda and vinegar mixture in the drain for about 30 minutes. While you are waiting, boil a tea kettle full of water. After 30 minutes, remove the stopper or plunger and slowly pour the boiling water down the drain. On the rare chance that your drain is not clear, just do it again. Occasionally I have had to do it twice in a row, but it doesn’t happen too often. Between a drain snake or Zip-It for hair, and good old fashioned baking soda and vinegar, you can now unclog a drain cheaply without dangerous chemicals, any time you need to! clogged drains are the very common problem in the kitchen, toilets, and bathroom.I am also facing this clog drain problem in my bathroom.Thanks for sharing this useful post.This article is really informative. pour it slowly down the drain in two to three stages, allowing the hot water to work for a several seconds in between each pour. This is one of the easiest ways to unclog drains. First, set it to vacuum liquids. Cover up the vent to prevent a mess. Then, create the tightest seal you can over the drain. With the vacuum turned on its highest setting, it can be powerful enough to draw the clog up the pipe and into the vacuum bag. I’ve had to call the plumber too many times due to horrendous amounts of hair in our bathtub drain. A few years ago, the last time the plumber was here,he told me to buy a drain catcher, which is basically a small, removeable sieve that sits inside the drain opening and catches all the hair BEFORE it goes down the drain. After every shower, we just clean it out and we’re good to go. It only cost a couple of dollars and our bathtub drain has been clear for years now. An ounce of prevention is always best with drains! Just put / pour HOT water into the drain. These are great steps on how to get break up a clog. I’ll have to try this because my bathroom tub is very slow to drain and it’s extremely annoying. I hope this works, if not, then I’ll need to consider a drain cleaning company to fix the problem. If it is hair clogging the drain, (and it usually is with the bathtub), a ZipIt will work best to clear it. Good luck! This is great! I am going to share this with my husband and sons. Thanks for sharing!! 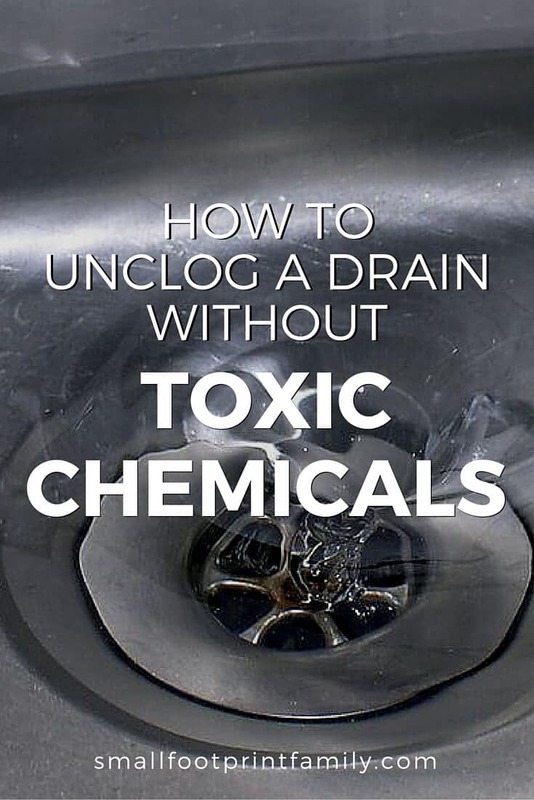 Thanks for sharing a post about how to unclog a drain naturally. It is true that above information can really help people to unclog a drain without causing damage to their health or the environment. Hello, this kind of chemicals are very veryyyyy toxic. I have a cat and when she is around the sink I am so afraid for her. She has habit of licking things. I found your tips very useful and I am going to use them. Best regards! I almost had it right he first time, except for baking soda, and it got me feeling weird with a vinegar smelling sink all morning. Nice article. Easy and Eco-friendly tips on how to clean clogged drains. You can also check http://www.plumberwoollahra.com.au. There you can find some tips with regards to your drain and other plumbing issues. Thanks a lot! That’s a ringing endorsement!! It’s Party Time over at Debt Free Mommy Blog and you are invited! Please come link up anything related to making your space better at http://debtfreemommyblog.blogspot.com/ and mark your calendars for every Making Space Mondays linky party. Hope to see you there! These are some things I never thought about. Thank you for sharing with us on Saturday Show and Tell. I hope you’ll join us again this week! Fascinating! Thanks so much for sharing this tip at Thrifty Thursday! This is a great tip! I use baking soda and vinegar to unclog drains, too, and I’m amazed at how well it works. However, I never thought to plug up the drain, it worked for me without doing that. So simple and easy! Love your natural recipe! Thank you for sharing with us at Healthy 2Day Wednesdays. Hope to see you again real soon. Great tutorial! Thanks so much for sharing at Tiny Tip Tuesday! I’m pinning this! I hate chemicals and will definitely try this! Thanks so much for sharing! Stopping by from WLWW link up! Continued blessings! This is a great post. I will have to remember this for future reference. I usually just boil some water and pour it down for most stuff. I ma your newst fan. Come by and see us on our blog. What a great tip. I will bookmark this. Thanks for sharing. Love the Zip-It for hair clogs. Disgusting to see what comes up, but it works like a charm. Nice tips. For slow bath drains, a great tool is The Drain Claw. You can check it out at . It will unclog slow drains because of hair without dangerous chemicals. The drain claw and the Zip-It are very similar tools that work better on hair. The baking soda and vinegar trick works best on regular clogs.